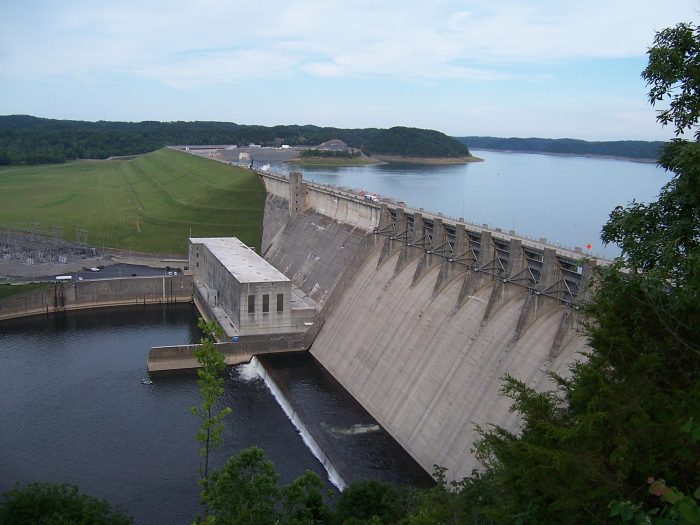 The Wolf Creek Dam near Jamestown, Kentucky, was constructed partially as a regular concrete hydroelectric dam, but mostly as an earth-fill embankment structure. Finished in 1950, within 20 years it developed serious reservoir seepage problems. Several repair projects had a degree of success at stemming the flow, but in recent years managers decided that resurging seepage at the dam constituted an emergency situation. To seal off further damaging seepage, remedial construction began in 2006. The project includes a major grouting program to be followed by construction of a nearly 1,000,000-square-foot concrete diaphragm wall. As part of the monitoring and analysis portion of the project, the Army Corps of Engineers (USACE) retained URS Corporation to design, install, and operate an automated data-acquisition system (ADAS). The ADAS monitors the large number of piezometers measuring water level (seepage from the reservoir) in the embankment. System installation began during the summer of 2008. All instrument readings are collected by a host PC located in the dam's powerhouse. A local FTP server provides remote transfer of daily data files to both the Corps' Nashville district office and the URS St. Louis office, where data are being managed in the USACE WinIDP program. In addition, URS is hosting a project web server that displays graphs and instrument readings every hour. The ADAS consists of 81 vibrating-wire pressure transducers being read by Campbell Scientific CR1000 dataloggers and 25 AVW206 wireless interface units. The AVW206 uses Campbell's revolutionary spectral-analysis method to eliminate almost all noise from the vibrating-wire signals. All data is transmitted over a spread-spectrum IP radio network. As part of the project, URS installed an 800-ft fiberoptic cable to carry the radioed data from atop the dam structure down to the communication room in the dam's power house. URS performs operation and maintenance of the ADAS to keep track of seepage levels as dam repair progresses through 2014.